Woodward should raid Mourinho's old club to deliver ideal Man United signing - Opinion | The Transfer Tavern | News, breakdown and analysis on all things football! The transfer window has slammed shut with Manchester United failing to sign a defender before the deadline. Jose Mourinho made landing a top centre-back his number one priority this summer in order to challenge Manchester City for the Premier League title next season. The Red Devils attempted to sign Toby Alderweireld from Tottenham and Harry Maguire from Leicester before turning their attention to Bayern Munich’s Jerome Boateng. A late move for Diego Godin from Atletico Madrid also failed. With the transfer window now closed, Mourinho will have to wait until January to sign a new defender. United will hold the advantage over Tottenham in negotiations for Alderweireld with the Belgian allowed to leave next summer for just £25m. 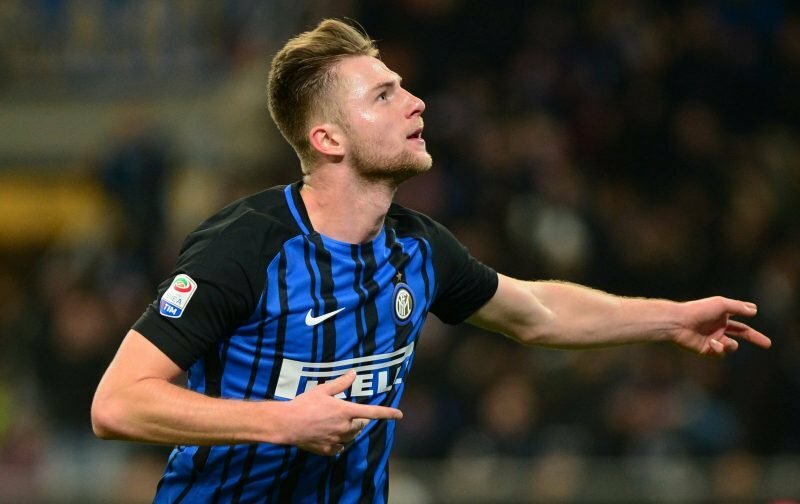 However, the Red Devils should abandon their pursuit and instead target Inter Milan superstar – Milan Skriniar. Valued at £40.5m by Transfermarkt, the Slovakian defender has blossomed into a world-class defender since joining the club from Sampdoria last summer. He enjoyed a superb debut season at the San Siro, featuring in every minute of football in the Serie A. The 23-year-old would be a much better signing than Alderweireld. Skriniar averaged 2.3 tackles per game last season which is more than any Manchester United player. The youngster also retained an excellent 92% pass success rate, no United player had higher, making him the ideal player to help transition defence to attack (WhoScored). He would definitely be an upgrade on Mourinho’s current centre-backs. It will be hard to tempt Inter to sell their prized asset, but United have the financial capabilities to get the deal over the line when the window reopens in January. The allure of the Premier League and Old Trafford should help Mourinho get his man.